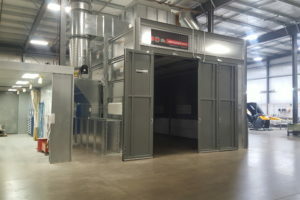 Chapter 2 has increased capacity in their paint department by adding a GFS (Global Finishing Systems) Side-Downdraft booth. The booth not only creates additional capacity, but improves the quality of output on higher class finish product lines. Chapter 2 recently donated $5,000 to help support updates to Watertown High School’s manufacturing courses for the 2018-19 school year. 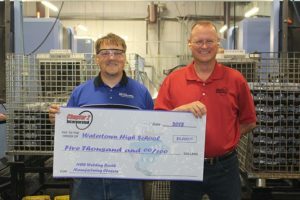 At left, Jesse Domer, WHS manufacturing instructor, receives the check from Tim Johnston, CEO of Chapter 2. 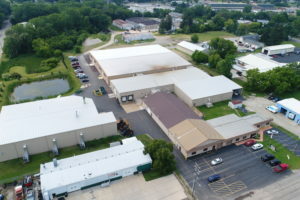 With business booming and a new addition about to be complete, Chapter 2 saw a need once again to expand its milling capacity. Chapter 2 welcomed a Doosan Puma 2600 Turning Center to help aid in the growth of our facility and projects. Chapter 2 is excited to announce their winnings at the Wisconsin Family Business of the Year Award on May 3rd, 2018. Chapter 2 won the Grand Award in their size category. 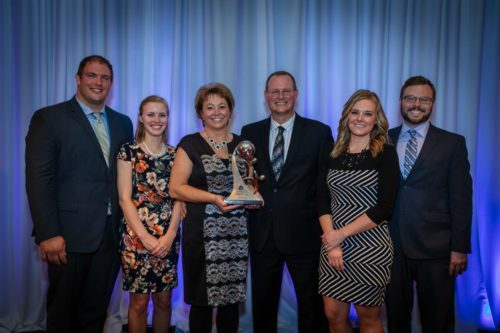 The Wisconsin Family Business of the Year award highlights and celebrates the accomplishments and contributions of family businesses that make an impact on the Wisconsin business community. It was an honor to sit along side many other family businesses and hear stories of successes throughout the night. This award not only goes out to the owners, Tim & Tracy Johnston, but to all of Chapter 2 because the company as a whole is a family. 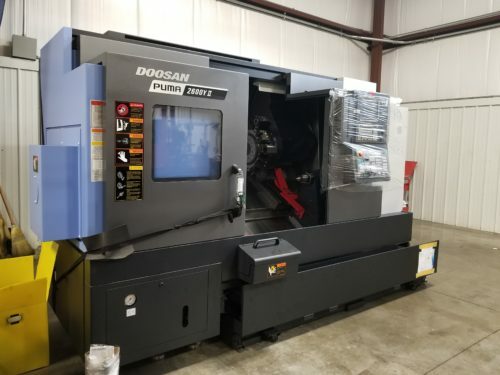 Chapter 2 has once again added to its machining capacity with the purchase of a new Doosan NHP 5000 series horizontal machining center.